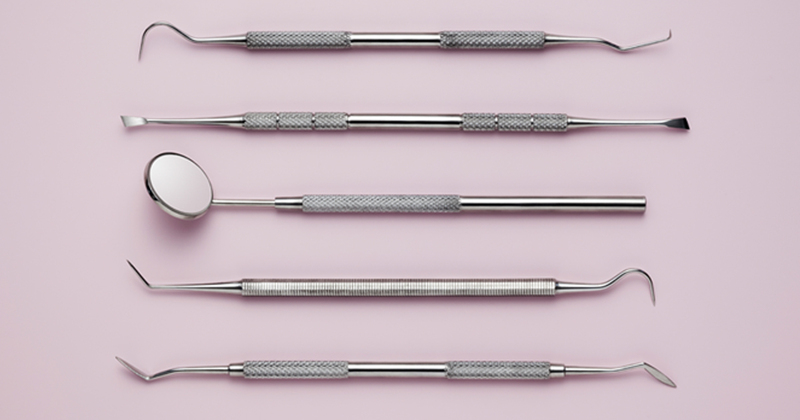 Regular brushing is a good first step, but to guard against a range of oral health issues, you need to upgrade your routine to include a more holistic approach, says dentist Dr Du Plessis van Dyk, who practices at Mediclinic Emfulini. Dentists and oral hygienists spend their careers trying to convince us from a young age to brush our teeth for two minutes each morning and again in the evening. Dr Du Plessis van Dyk, a dentist at Mediclinic Emfuleni, says brushing a minimum of twice daily is the bare minimum of what our mouths really need, and recommends three times a day as optimal. Your mouth is an important part of your body, in that oral health issues can both be a sign of other problems or in fact, cause them. That’s because it’s teeming with bacteria. Lauren Schell, a dental hygienist at 32 Teeth in Panorama in the Western Cape, explains that oral health care, such as daily brushing and flossing, can help your body’s natural protective processes in keeping bacteria under control. Without a proper oral hygiene routine, you run the risk of allowing bacteria to cause oral infections, such as tooth decay and gum disease. Periodontal disease, more commonly referred to as gum disease, occurs when the bacteria in plaque build up between our gums and teeth. As the bacteria grow, our gums become inflamed – and this can cause the gums and supporting bone structure to deteriorate, leading to gum recession and tooth loss. Even more worrying is the link – as yet unproven – that many studies are finding between these bacteria and the inflammation they cause in your mouth and other, more serious health conditions, such as heart attacks and dementia, and chronic illnesses, such as diabetes and rheumatoid arthritis. Some good news: all of that is preventable. Sticking to a consistent and comprehensive oral health routine can help fight the bacteria that build up in your mouth, keeping your teeth and gums healthy and infection-free. Invest in toothpastes and mouthwashes that are high in fluoride. The anticaries mechanism of fluoride is proven to be highly effective at preventing tooth decay. Fluoride strengthens the enamel on teeth, guarding against bacteria, and new research shows it may also render bacteria less effective at adhering to teeth. Floss every day. A toothbrush may miss deeply embedded food particles, no matter how turbocharged. Flossing is an effective way to loosen these particles and rid your mouth of bacteria before they harden and begin to form plaque and tartar, which can lead to gum disease if left untreated. Stay away from sodas. The sugars in fizzy drinks have acidogenic and cariogenic effects on your teeth. Drinking too much of these can result in both erosion of enamel and dental cavities. Take care of your toothbrush. After cleaning your teeth, your brush can hold onto millions of bacteria at a time, including E. coli and staphylococcus, which can be responsible for causing a wide variety of diseases, if left unchecked. Rinse your brush thoroughly and keep it upright in a warm, well-aired space to dry. Replace your brush as soon as it becomes ineffective, or every three to four months at most. See your dentist and oral hygienist regularly. By the time you notice something is wrong inside your own mouth, it is usually too late. A throbbing pain in a tooth, for instance, bleeding or sensitive gums, or a painful lesion in your cheek – these are all signs you require an urgent medical intervention from a professional. Your dentist and oral hygienist will be able to identify oral health issues before they reach these advanced stages, by recognising early warning signs that you will most likely miss, or underestimate.